The stuffing and the way cargo is placed on the container T-bar floor directly affects the air flow inside the reefer container. It is therefore of high importance that stuffing guidelines are followed. Blocking of the airflow as a consequence of incorrect stowage of your refrigerated cargo may create short circuits and lead to unwanted hot spots inside the cargo area. Do not leave any areas open or uncovered on the floor, the front bulkhead or the side walls (if pallets are placed at the front bulkhead, be sure to place cardboard under empty pallets). Do not run unit with doors open. Do not stuff cargo beyond the end of the T-floor. Do not plug channels at the end of the T-floor. Do not stuff cargo above the red load line. 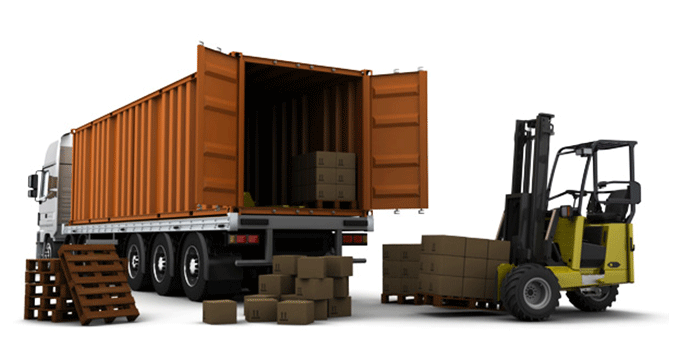 In most cases, the ambient temperature is warmer than the cargo and the container set temperature. Operating the reefer unit with rear doors open will therefore introduce hot ambient air into the reefer unit and heat up the cargo, rather than cooling it. Further, when hot and humid air enters the reefer, moisture will build up on the container walls and roof. The cooling coil will ice up and create a need for frequent defrosting which again will have negative impact to the cooling cycle. If a genset is used, it should be stopped during the time of stuffing. This to avoid exhaust gasses to reach the cargo area.